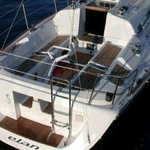 Zmorac is a name of sailboat Elan 31 ,which has been built in 2003. 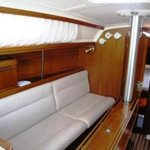 You can charter her from port Biograd in the region close to Zadar. Zmorac is equipped with 6 beds. 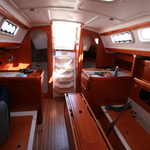 Beds on the vessel are arranged in 6 (4+2) layout. 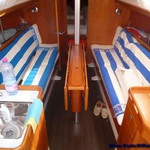 2 cabins are situated inside the sailboat Zmorac. 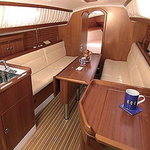 Use the search engine for search for other boats by moving to this section: Yacht charter Zadar. 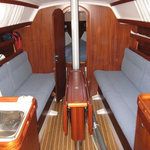 Passengers can feel comfortable on this sailing boat , because there are 1 heads for their disposal. 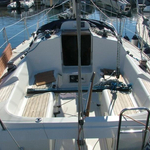 With 45.00 l liters in fuel tank you can sail really far and still be independent because of 138.00 l liters in tank for water. Zmorac is equipped with motor 19 hp. 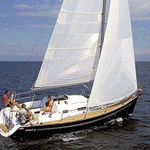 Yacht's dimensions are: LOA - 9.40 meters , width - 3.20 meters and 1.85 m of depth. 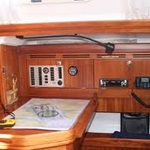 On the sailboat there is following equipment: Autopilot, Gps plotter, Bimini top, Anchor electric windlass, Heating, Radio / cd player, Mainsail with lazy jack. . Nonrefundable caution has value 1000.00 EUR. 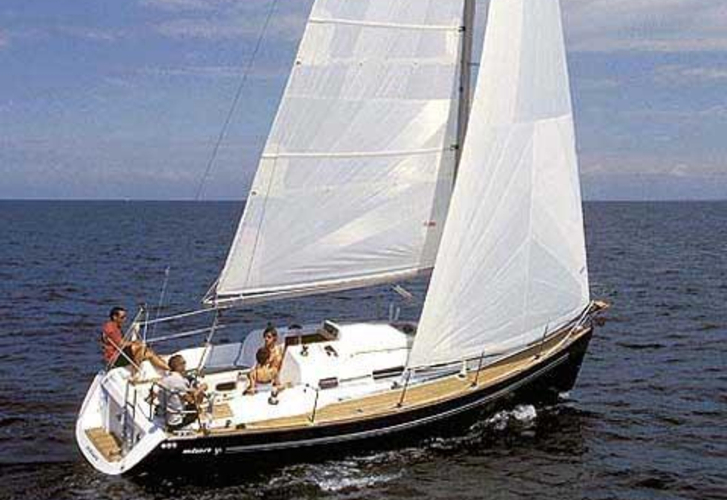 In our search engine you can quickly check avalailability of sailboat Zmorac from Biograd under the link: Yacht charter Croatia.